Ready to add another year of membership perks to your account? NOW is the time! Beginning at 9:00AM PT on Thursday, August 25, 2016 the 12-Month All Access Membership will be available for only $71.99 USD* (regular price = $119.88 USD). That works out to less than $6.00/month! For full benefits, visit our All Access page. This special price is available for a limited time only! Want to get your hands on this great deal? 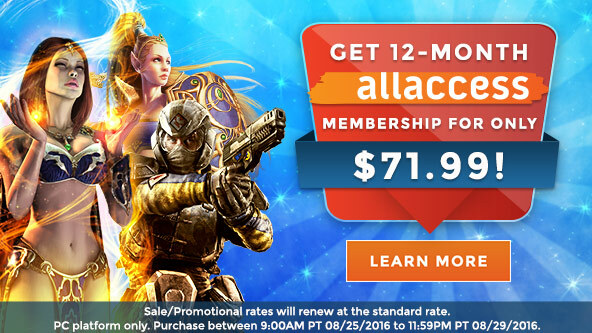 Make sure you purchase the 12-Month All Access Membership by 11:59PM PT on Monday, August 29, 2016! *Sale/Promotional rates will renew at the standard rate. The standard rate will automatically renew for successive 12-month terms until cancelled. Login to account management, choose membership info. Click “upgrade membership” (even if you’re already a 12-month subscriber). 12-month subscribers are seeing that their account will renew at the promo rate on their auto-renew day, even if it doesn’t fall within the promotional dates. This is likely just a display error. If you want the rate, get it before 11:59pm PT on August 29th. Choose the promo rate, enter card info, and complete the sale. Your card will be charged the $71.99 immediately. Your subscription will have +12 months added to it. For example, my subscription previously had a renew date of 4/3/2017. It now has a renew date of 4/3/2018. Any previously paid time and promotional paid time display as “pre-paid time” in membership info. As mentioned above, your membership will not renew at the discounted rate in the future, despite what account management says. Hopefully that clears up the confusion we’ve been seeing on the chat channels! 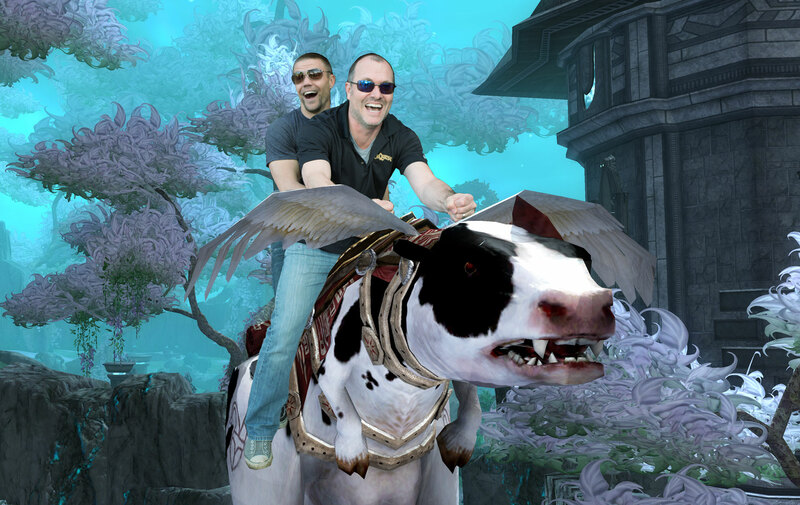 Set your sights on Greater Faydark because the Kelethin City Festival returns from August 1-7! Spend City Tokens on local specialties, generic festival goods, and more. Make sure all your characters have finished the Kelethin Postage Collection, speak to Kella Swampfoot to assist with festival quests, and achieve 94 seconds or less in the local Aether Race to earn the Bixie Barnstormer title. New items were added to the grottos last month. 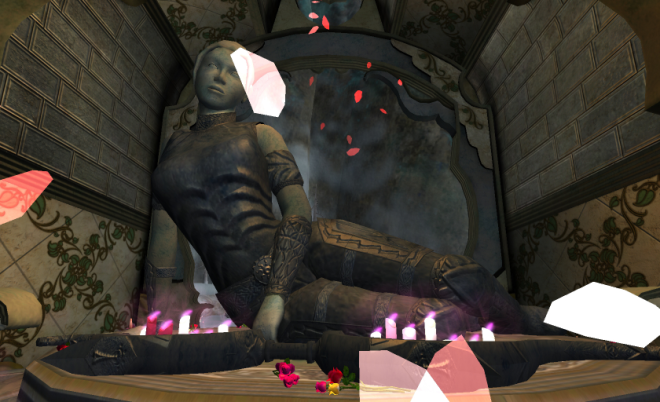 Check out Niami Denmother‘s preview on EQ2 Traders if you missed it. It’s time to cool off your summer – the New Halas City Festival returns from June 1-7! Spend City Tokens on local specialties, generic festival goods, appearance clothing, or food & drink. Make sure all your characters have finished the New Halas Postage Collection, speak to Kella Swampfoot to assist with festival quests, and achieve 104 seconds or less in the local Aether Race to earn the Snowflake Chaser title. These bonuses will begin at 12:00PM (Noon) PDT on Friday, April 22 and will run through the weekend and into next week, until 12:00PM (Noon) PDT on Wednesday, April 27. The launch of GU100 is scheduled for the next day, Thursday, April 28! These bonuses are available for members only, and this upcoming content release is for members only. So if you’re not a member yet, what are you waiting for? Don’t miss out on all that’s coming to Norrath in the next few weeks. Become a member today at www.everquest2.com/membership. Bristlebane Day is still underway, and tomorrow is April 1st: The Highest of Silly Days! One-day only events can be found during this special day. The Joke is on Norrath: Bristlebane Day Returns! Bristlebane Day is back! From Friday, March 25th through Thursday, April 7th, enjoy one new quest, a new collection, more merchant goodies and perfectly serious items to craft, as well as content from previous years. On Friday, April 1st we’ll celebrate The Highest of Silly Days in the Enchanted Lands with our good friend Imenand. 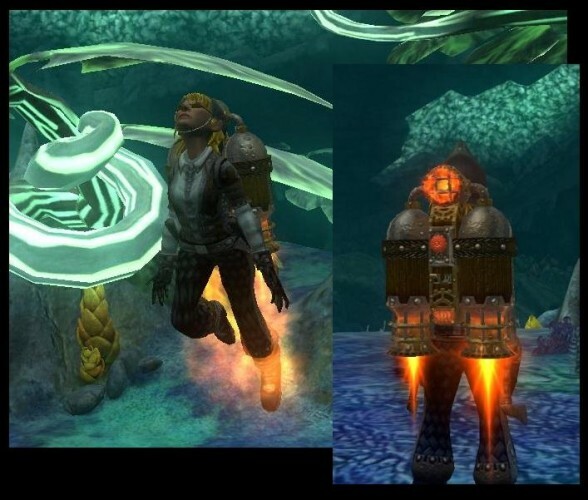 Niami has posted pictures of the new recipe and merchant items over on EQ2 Traders. TLE servers will have a special Bristlebane Day themed merchant, a Gigglegibber goblin, in both Freeport and Qeynos. Too many alts? Get the Bristlebane Day quest tracker! Print it out or copy it to your own Google Drive by going to the File menu and choosing “Make a copy…”. 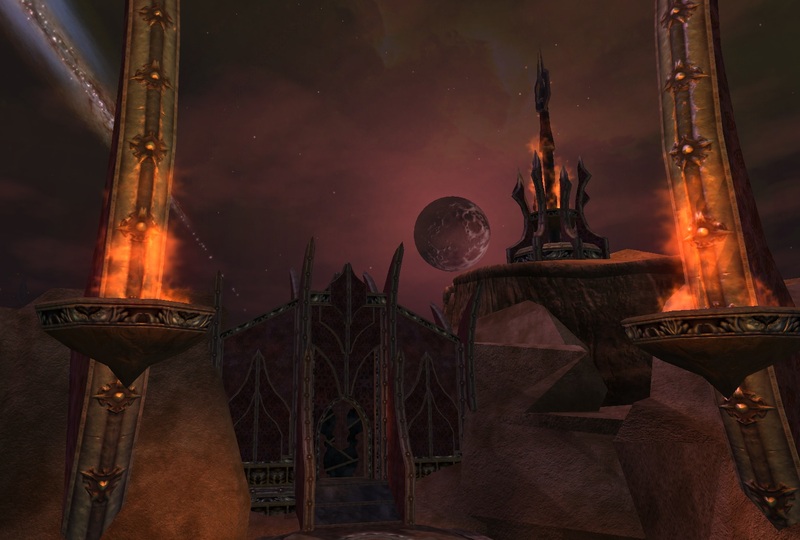 Roshen has posted an EU server consolidation FAQ on the EQ2 forums. It also mentions the RU servers merging into Splitpaw, and Sebilis merging into Antonia Bayle. Check out the entire FAQ here. Everyone will be able to chat, and shout and etc in any language. It is just the names that we cannot support, we looked into redoing all of our translation engineering to support multiple languages, but it was too much for the resources we have available. So all of the game text will be in English, and character names will be in English alphabet. The Uncaged Alzid’s adds are now heroic. Ancient Bound Abominations are now x2 instead of x3. Reduced the damage of Lord Vyemm’s Scream of Chaos. Tarinax’s Adds are now heroic. Enforcers of Captivity adds are now heroic. Mistbound sentry adds are now heroic. Mistbound vindicator adds are now x2 instead of x3. Gnillaw the Demented’s linked adds are now x2 instead of x3. Gnorbl the Playful’s linked adds are now heroic. Killing Grelikor too quickly will no longer stop zone progression. Corrected an issue with some versions of Early Advantage that did not allow them to stack. Corrected the drop chance of some raid tier 2 cloth and chain armor types. The potency and crit bonus of Fallen Dynasty dropped and quested rewards have been adjusted to match new progression. Lord Vyemm’s loot has been increased. Court of Truth: Brush with Celebrity – Players on this quest can once again enter the Games to fight. It’s time to stock up on blue marble – the Neriak City Festival returns to Darklight Wood from March 1-7! Spend City Tokens on local specialties, generic festival goods, appearance clothing, or food & drink. Make sure all your characters have finished the Neriak Postage Collection, speak to Kella Swampfoot to assist with festival quests, and achieve 89 seconds or less in the local Aether Race to earn the Fearless Flyer title. Set your sights on Greater Faydark because the Kelethin City Festival returns from February 1-7! Spend City Tokens on local specialties, generic festival goods, and more. Make sure all your characters have finished the Kelethin Postage Collection, speak to Kella Swampfoot to assist with festival quests, and achieve 94 seconds or less in the local Aether Race to earn the Bixie Barnstormer title. Ring in the New Year in Timorous Deep with the Gorowyn City Festival, returning January 1-7! Spend City Tokens on local specialties, generic festival goods, appearance clothing, or food & drink. Make sure all your characters have finished the Gorowyn Postage Collection, speak to Kella Swampfoot to assist with festival quests, and achieve 244 seconds or less in the local Aether Race to earn the Wind Warden title.